Then on to the award-winning Hï Ibiza when the sun goes down from midnight to midday, for the second instalment, where Germany’s finest Adam Port will take the baton at 12pm in the ‘Theatre’ (main room). He will be followed by one of techno’s most sought after duos Adriatique and Crosstown Rebels boss Damian Lazarus, before the incomparable Richie Hawtin steps up to the plate to play his Hï Ibiza debut. Tale Of Us will then return to bring the 24-hour extravaganza to an epic close, a true celebration of underground techno at its best. 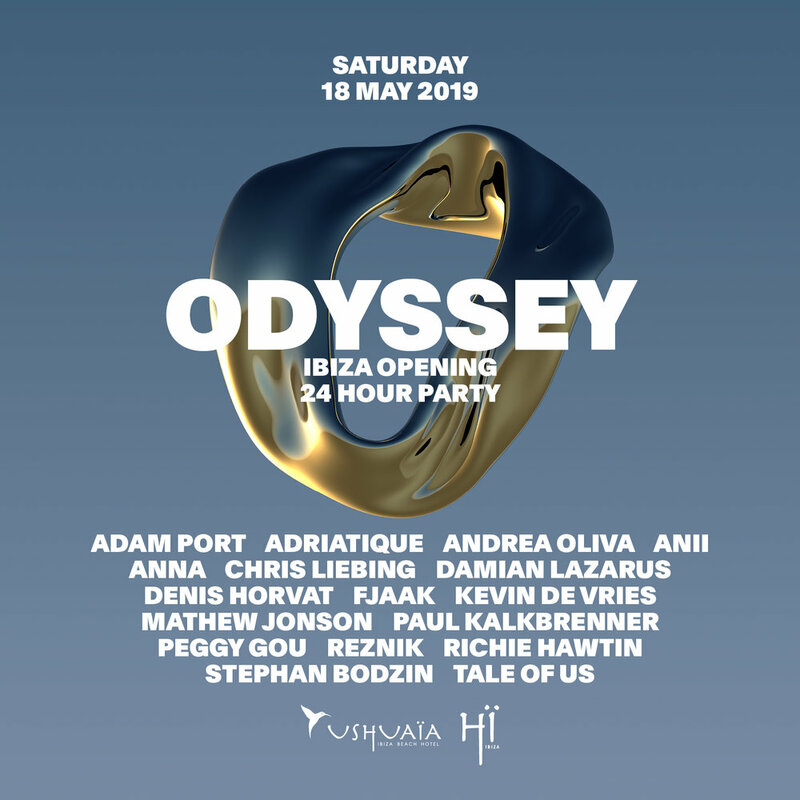 Marking the official opening of both clubs and heralding the start to the 2019 Ibiza season, Odyssey is set to be a ground-breaking start to the summer. For the ultimate opening party experience, clubbers can opt for a 24-hour pass which gives access to both venues for the duration of the event, or individual day or night passes. Tickets are now on sale at www.odyssey.art - grab yours now before they fly.